Table For Three, Please. 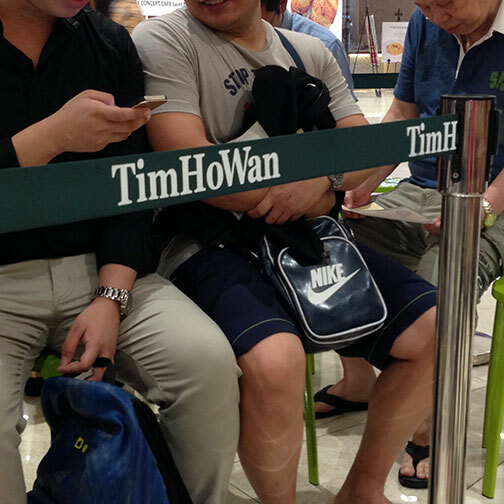 » Is Tim Ho Wan Worth the Wait? I was in Megamall just the other day for lunch and did something extremely uncharacteristic of me. Well, you could say going to Megamall for one; but it’s that I actually lined up for food. Tim Ho Wan had just recently opened it’s first branch in Manila and the lines have been crazy. I thought the wait locally would take even longer as Filipinos usually linger on the table during a meal and they’re pretty averse to sharing seats with strangers. But it didn’t take as long as I expected it to be. About 20 minutes and I was in (I shared a table with a mom and her daughter). Ordering was quite painless. And while my orders didn’t arrive all together, it came in such a fashion as if it was timed as I finished each dish. So no complaints. Of course I had to order the pork buns. 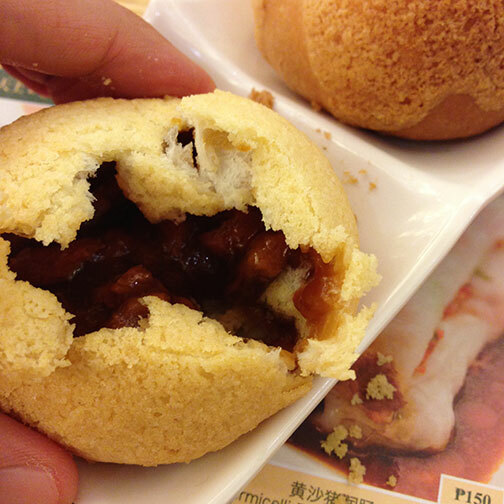 To those who have yet to try, it’s like a coffee bun crossed with a char siu bao. Fresh out of the oven, these were very good. The bread thin and crumbly; crispy and melted in the mouth at the same time. The filling was saucy, sweet and savoury with generous bits of barbecue pork. These are best eaten hot as textures and flavors change when it cools. The har gau I had to order as well, as it’s my gauge for good dim sum. And was surprised to notice the thinness of the pastry. Elastic; not thick and gummy. Noticeably fine pleating as well. The filling was made of plump shrimp that popped when bitten into. Very similar to Hong Kong standards. I love offal so I had to try the Cheong Fan stuffed with Pig’s Liver. And again, it possessed the same fineness with the noodle covering. It didn’t bury the filling with starch. The liver was sliced in thin slivers and was very fresh. Packed with umami and not too much minerality; meaning not too in-your-face liver. The sweet soy based sauce worked well to balance the slight bitter finish of the filling. To end with something sweet I had the Tonic Medlar and Osmanthus Cake. 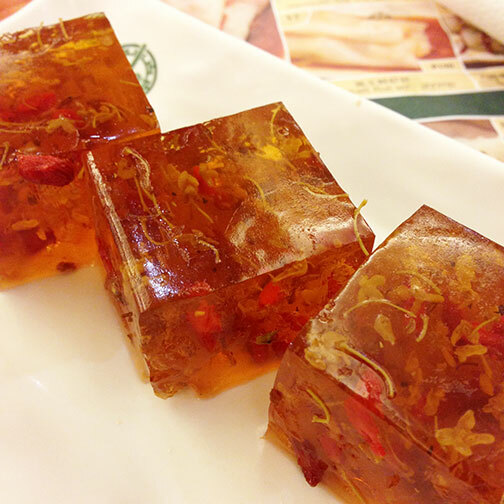 Basically an herbal tea jelly with goji berries. I like these medicinal type desserts and it may be quite acquired for some. But it helps with digestion, especially if you’ve had a really fatty meal. I feel I’ve had too few dishes to give an overall assessment; and Sanju has already made a more comprehensive documentation of his visit to the original Michelin starred branch in Hong Kong (Tim Ho Wan now has several branches in the region and not all branches have stars; stars also do not automatically apply to the whole chain). But as a first impression and with the discussion of stars aside; is it worth the hype? Based on this visit, I would say so. There’s a certain refinement to the preparations and a balance in flavors not usually found in local dim sum. And for the quality I would think the prices are reasonable. In the end I had wished to have come with a group so as to get to try more dishes. But next time it’s probably best to go on an off hour, like mid-afternoon, to get a yum cha fix. If you want to know what I did after; I had my passport renewed at the DFA satellite office and lined up, again, for 2 hours. Have not tried this yet for the reason of the lines! But I will soon :) Just got back from HK and tried an awesome pork bun at a place called Che...now need to try THW to compare! The buns at Fu Sing are apparently quite good as well. Let us know when you plan to Tim Ho Wan, maybe we can all go. 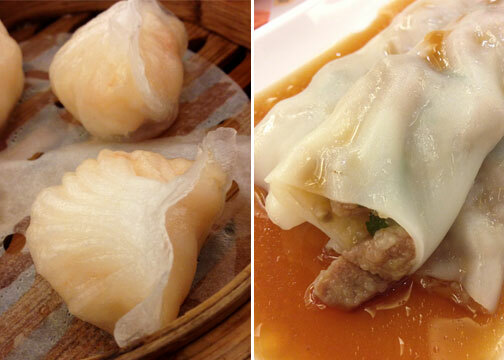 "The har gau I had to order as well, as it’s my gauge for good dim sum." I couldn't agree more. :) Those pork buns look great. Joey and Paul, Che is a very very good restaurant for dim sum. In fact, some say it is pretty hard to beat. Lets try to do THW together soon.